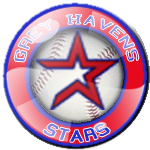 The Grey Havens Stars snatched Game 1 of the Hobbit Series from the visiting Ravenhill Darkwings by the final score of 4-0 at Grey Havens Field today. Grey Havens right-hander went 7 innings and was named player of the game in the win. The Darkwings now face a precarious 0-1 deficit in the short, best-of-3 series. Pennypacker delivered a quality start for Grey Havens. The 6′ 0″ right-hander allowed no runs on 4 hits over 7 innings of work. “Not too many highlights on our side,” said losing manager Dwalin Rockanvil. The next game is scheduled for Friday, October 8th, 2038 at The Ballpark at Helms Deep. Slated to start are Cemal Agrela for the Grey Havens Stars and Eillf Rymer for the the Ravenhill Darkwings.